Knicks released Enes Kanter. I’d take him in a heartbeat. Unless Fultz turns into a stud. Feel bad for Fultz, poor luck and timing with injuries and Simmons already being PG. BC really blew it, he deserved to get fired and never should have been hired. Agree on your BC take. He made perhaps the worst trade in NBA history, let alone the 76ers. So with the trade deadline in the past...how do we feel about this team? It seems like we may have one of the 3 best starting line-ups in the NBA and now we have a pretty solid bench. I still think they add another player after all the buy-outs. I think the Tobias Harris move does make them match-up better with the Celtics. The Fultz saga is tragic to me but my understanding is that he had to be traded to get his 10m off the books to give us a shot at retaining both Harris and Butler. That being said, I still think Brand did well getting a defensive wing, a low first in 2020 and a high 2nd in 2019. Got James Ennis who will at least get on the floor for next to nothing. Not even close to either of the 1986 draft day fiasco deals. (Daugherty for Hinson, Malone-Cateledge-two first round picks for Ruland and Robinson). Each of those deals was catastrophic on its own and set the organization back more than a decade. Exactly...this was the worst trade in the last 2 years of sixer history. Sixers with a hard fought win tonight...it's going to take a few games for it to come together but this team is going to be hard to defend. One thing you could immediately see is that with Harris, the floor spacing gives Redick great looks and he responded with a huge game. The celtics are a little bit of a mess. Blew a huge lead and lost to the Clippers at home. Clippers were sparked in large part by Landry Shamet. I'm happy we got Harris, but I think we may come to regret giving up Shamet for him. I think we may come to regret giving up Shamet for him. Me too. I really liked Shamet. They may regret trading Shamet if it turns out they can't afford to keep Redick in order to keep the big 4. I think redick will want to be here. You weren't going to get a young player of Harris' caliber without giving something up. Just gotta find another Shamet with the pick they got back. It will be interesting to see if they really do keep both of these guys but my understanding is Harris' low cap hold makes it pretty easy to retain Reddick too. Brand said in the one sideline interview with Zumoff that they can retain the big 4 and re-sign Reddick. I was unsure up until that point. If, for whatever reason, they do not resign Butler and Harris, would they be under the cap enough to make a run at Durant/Irving/Leonard? I would once again recommend The Athletic where our sometimes listmember Derek Bodner has several stories about this. With the trade deadline over, a look at where things stand regarding cap space, the aftermath of the Markelle Fultz trade and more. (Note: relevant cap holds, if you want to do some free agency math on your own: Jimmy Butler will count $30.669 million against the cap until he’s either renounced or signed to a new contract, either in Philadelphia or elsewhere. Tobias Harris has a $22.2 million cap hold and JJ Redick $15.9 million). ...that amount of room provides the Sixers with a bit of insurance should either Butler or Harris sign elsewhere, or if the Sixers decide they don’t want either back. Slot in Harris’ $22.2 million cap hold and the Sixers could have upwards of $37 million in space available if they renounce Butler and JJ Redick. That may not be the plan, especially since Redick would be a costly loss, but it is a contingency option if they feel they can get a long-term contributor instead. 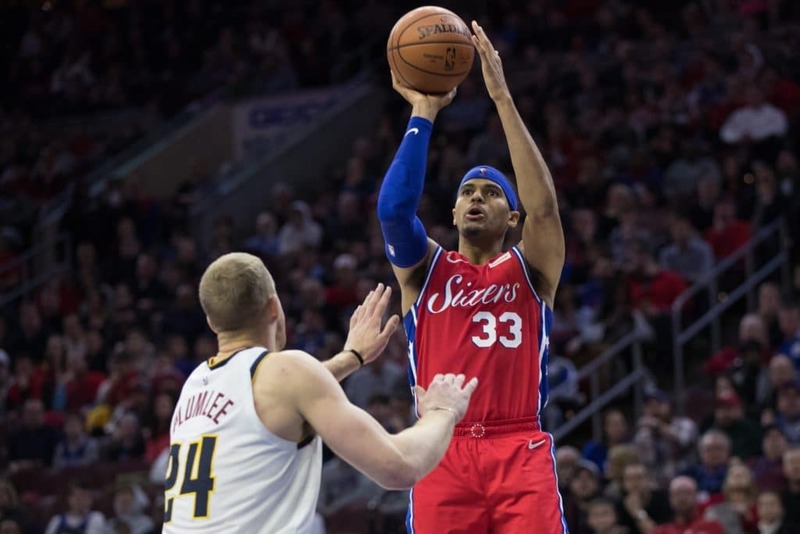 Should it happen the other way – Harris signs elsewhere and Butler sticks around long-term – and the Sixers could be within the ballpark to offer a 30 percent max with a few more moves.